A hilarious and merciless parody of rural melodramas and one of the best-loved comic novels of all time, Cold Comfort Farm by Stella Gibbons is beautifully repackaged as part of the Penguin Essentials range. Sensible, sophisticated Flora Poste has been expensively educated to do everything but earn a living. When she is orphaned at twenty, she decides her only option is to descend on relatives - the doomed Starkadders at the aptly named Cold Comfort Farm. There is Judith in a scarlet shawl, heaving with remorse for an unspoken wickedness; raving old Ada Doom, who once saw something nasty in the woodshed; lustful Seth and despairing Reuben, Judith's two sons; and there is Amos, preaching fire and damnation to one and all. As the sukebind flowers, Flora takes each of the family in hand and brings order to their chaos. 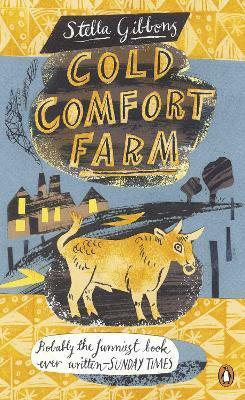 Cold Comfort Farm is a sharp and clever parody of the melodramatic and rural novel. Stella Gibbons was born in London in 1902. She went to North London Collegiate School and studied journalism at University College, London. She then worked for ten years on various papers, including the Evening Standard. Her first publication was a book of poems, The Mountain Beast (1930), and her first novel, Cold Comfort Farm (1932), won the Femina Vie Heureuse Prize. Amongst her other novels are Miss Linsey and Pa (1936), Nightingale Wood (1938), Westwood (1946), Conference at Cold Comfort Farm (1949) and Beside the Pearly Water (1954). Stella Gibbons died in 1989.